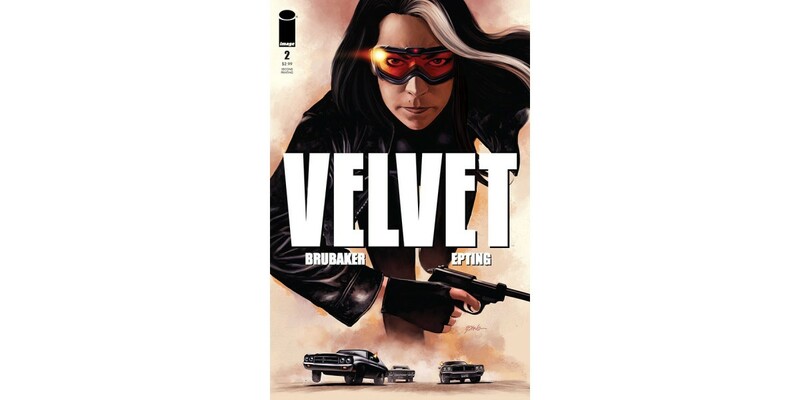 The second issue of VELVET from creators Ed Brubaker (FATALE), Steve Epting, and Elizabeth Breitweiser is setting comic racks on fire and has sold out completely at the distributor level. Issue #2 picks up right after #1 ends, jumping straight into the action as Velvet Templeton flees her own agency and races to uncover why Agent X-14 was killed. Dead bodies, ruined lives, and angry soldiers block her path toward discovering the truth. VELVET #2 has completely sold out at the distributor level, but may still be available in comic stores, and is currently available digitally on the Image Comics website (imagecomics.com) and the official Image Comics iOS app, as well as on Comixology on the web (comixology.com), iOS, Android, and Google Play. Image Comics is pleased to announce that this second issue will be going back to print to meet customer demand. The second printing of VELVET #2 (Diamond Code OCT138253) will release on 1/8. VELVET #3 releases 1/8 and will be available for pre-order with Diamond Code OCT130631.